Have you ever been to a Jewish wedding? I hadn't either, not until my own. 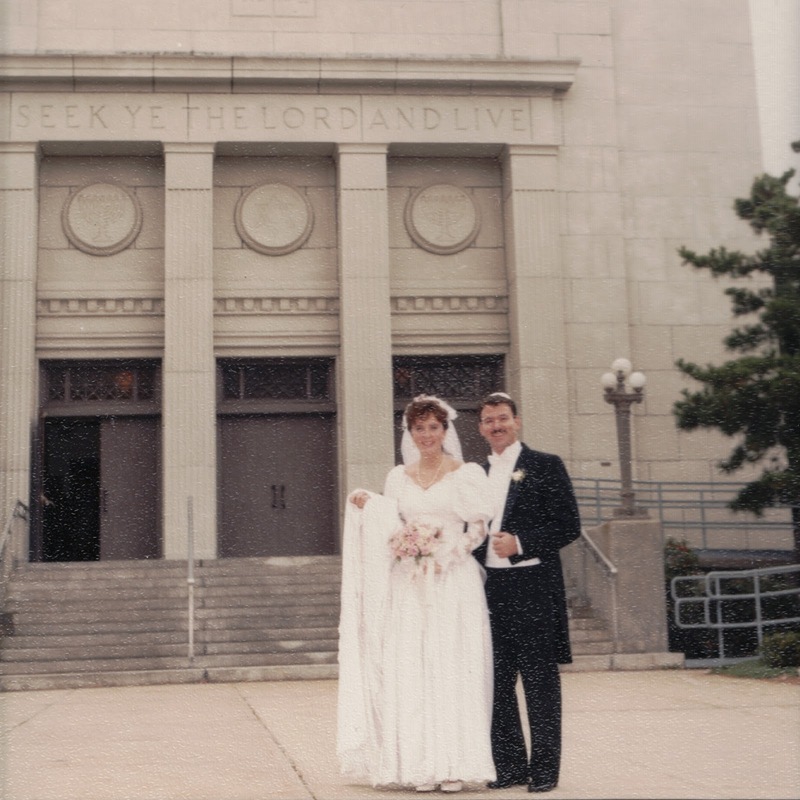 Our wedding took place on a cold, rainy, windy day on October 23, 1988 at Temple Emanu-El in Providence, Rhode Island. Everyone told me it was good luck to have rain on your wedding day and I do believe it now after twenty-three years, but moments before this photo was captured, as I was walking down the steps of the temple, a gust of wind blew my dress up around my face. You can't tell from the picture, but MJ and I were laughing hysterically. My paternal grandparents were also married on the 23rd of October. My grandmother was thrilled that we would be wed on what would have been their fiftieth wedding anniversary, or so we always thought. 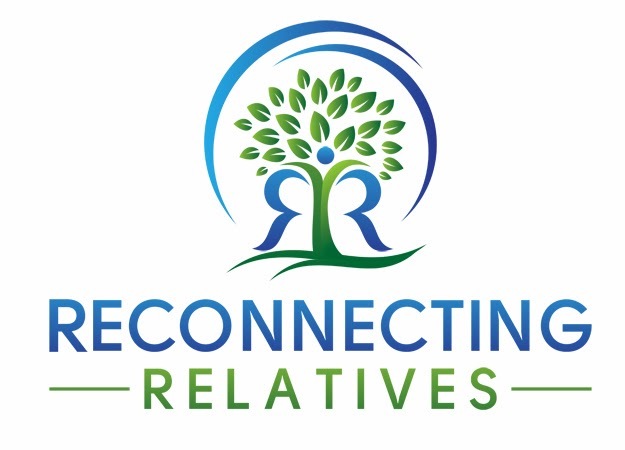 After she passed away, I discovered they would have been married fifty-one years, but it was still a nice connection to have with my grandmother, particularly because my Jewish wedding was a new experience for everyone in my family. Not only is my pedigree that of an American mutt, my religious pedigree is as well. From puritan times, our family boasts generations of ministers of many denominations and in the last two generations includes Lutherans, Protestants, Episcopalians and Catholics. I grew up Roman Catholic, but was always questioning my beliefs. 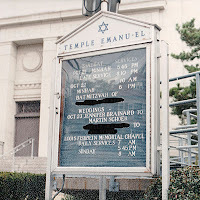 As I grew to young adulthood and learned about many different religions, I felt drawn to the Jewish religion. After meeting and becoming engaged to my soon to be husband, I formally converted. Learning is an essential component in a Jewish conversion as it is in the Jewish religion. 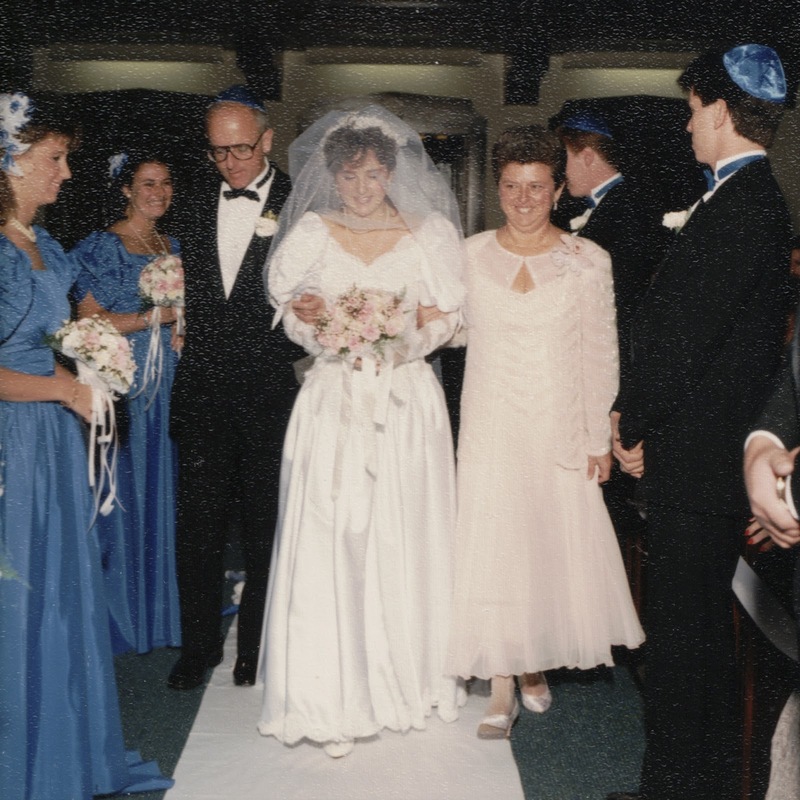 Our Jewish wedding was a huge learning experience for not only me, but also my family. It began the week before our wedding at our home temple, Temple Israel, in Portsmouth, NH with an Auf Ruf, when we were called up for the Torah reading in front of the congregation and received a blessing. The rest of the wedding took place in Providence, Rhode Island as that is where my parents were living. My Dad's friend was on the board of the temple and was able to arrange a temporary membership for MJ and with it the right to marry there. My parents lovingly arranged all of the details for our wedding, which was different from any other wedding they had ever attended. Wedding Day Fast A bride's wedding day starts early for all of the usual preparations. My day was a little different because MJ and I decided to do the customary fast until after our wedding ceremony. No mimosas or donuts for us. Thankfully we married in the morning. The fast was similar to the fast for Yom Kippur and symbolizes atonement and repentance so that we could start our new life together with a clean slate. Ketubah Before our wedding ceremony in the sanctuary, we took part in a private ceremony with the rabbi and two witnesses. We signed a ketubah, which is a marriage contract. In it we promised to serve, cherish, support and sustain each other. It also insures that I have the right to get a Get (a divorce) and that MJ has to give me money if we separate. It may sound sexist, but the ketubah was created to protect women's rights. Bedeken After we all signed the ketubah and before we went to the sanctuary, MJ covered my face with my veil. This custom derives from the Torah and the story of Jacob, who was deceived into marrying a veiled Leah instead of her sister Rachel. Today the groom makes sure that he is marrying the right woman and doesn't get fooled like Jacob. The groomsmen and bridesmaids walked first and lined up along both sides of the aisle as a symbolic honor guard. 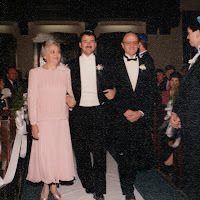 Our parents walked each of us up the aisle. 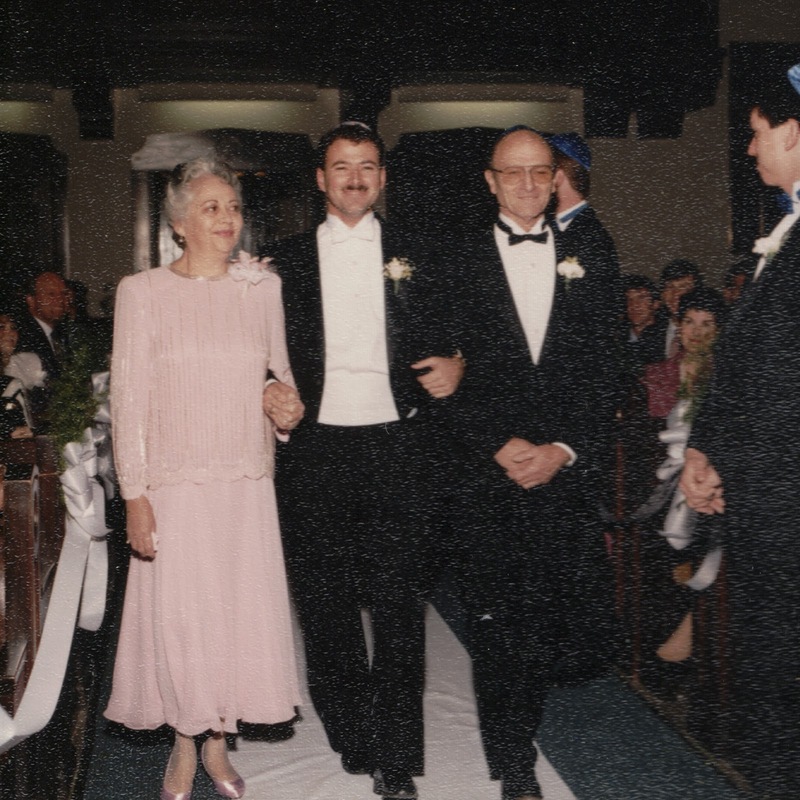 I really liked being walked up the aisle by both of my parents. I felt comforted and supported an loved. MJ, who had walked first, came to take my hand from my parents and led me to the chupah. 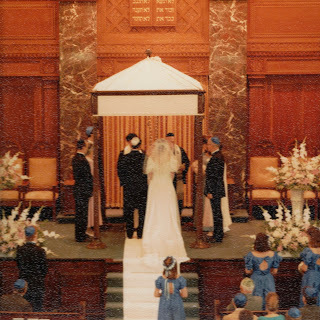 Chupah A Jewish wedding takes place between a chupah, or wedding canopy. The chupah symbolizes the home and life a new couple will share. Our parents and our best man and maid of honor joined the rabbi and cantor and of course us underneath. Erusin Two blessings were recited and we then drank wine from a glass goblet. Drinking from the same cup symbolized our commitment to each other. MJ's hand was shaking so badly I was sure the wine would spill on my dress, but it didn't. We then exchanged solid gold rings. No precious stones are allowed in a Jewish wedding band so that the bride cannot be deceived about the ring's value. MJ placed the ring on my right forefinger to mimic the old custom of a bride taking a gold coin from her intended. I then attempted to put MJ's ring on his left ring finger, but it just would not get past his knuckle. We fixed it later. The cantor then in a loud, powerful and beautiful voice sang the sheva brachot or seven blessings. We were so close to him that initially we were somewhat stunned when he began, but then we settled in and listened. My mother, sister and I passed tissues back and forth. Seven is a number repeated during the Jewish wedding ceremony as I also walked around MJ seven times. MJ did the traditional breaking of the glass by stomping on it with his foot and everyone shouted Mazel Tov! The breaking of the glass ends the ceremony and also reminds those in attendance that even at times of great joy we should remember times of sadness and hardship. What can I say. It's a Jewish thing. I hope you enjoyed learning a little bit about Jewish weddings. This post is part of the 111th Edition of the Carnival of Genealogy; Autumn Weddings. The Carnival of Genealogy was created and is run by Jasia at Creative Gene. What a beautiful post, Jen! 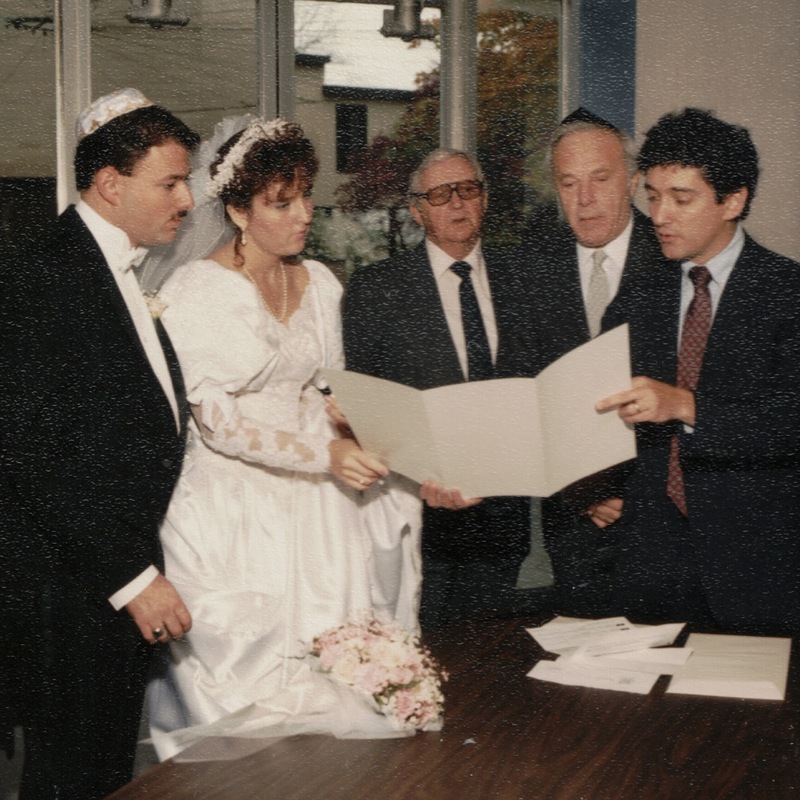 I married into a Jewish family, though my husband didn't want to include any of their traditions. Watching my sister in law get married with all of them was so beautiful and emotional. Thanks for sharing it. Thanks for sharing such a personal day & explaining the details of a Wedding conducted in the Jewish Faith. I enjoyed the post; fascinating. Loved your post! 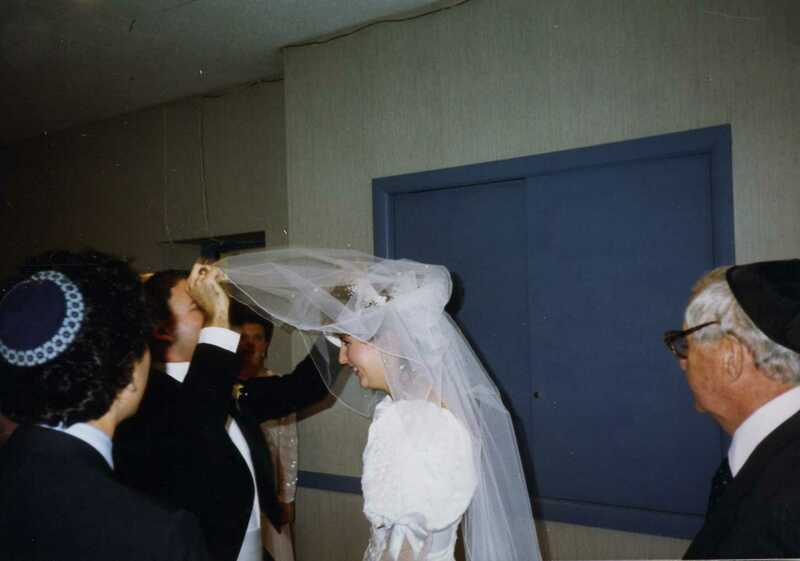 I was laughing because I married a Catholic, and it was the first Catholic wedding I had ever been to, although we didn't have a mass. And my baby shower was the first one I had ever been to since I was six years old (and I barely remembered). Thanks! What a lovely bride! Thank you for sharing your wedding with us and happy belated anniversary! The pictures and the post are so beautiful! And I really love October weddings - had one myself! What a beautiful post. I really learned a lot about Jewish weddings and all the symbolism that is a part of the entire process. Beautiful post! Thanks for sharing your special day with us. As someone who almost converted to Judaism when I was in the 4th grade (Don't ask - I fell in love with nearly every book on Jewish traditions, beliefs, and history that I read but I backed out of the commitment after meeting with a Rabbi), this was beautiful! Thank you so much for sharing and explaining all of the details. Elyse, That is fascinating. What determination you had as a young 4th grader. Also explains your determination today going to school and working at genealogy at the same time. Terri, I enjoyed sharing it and thank you for your kind comment. Bravo Jennifer! What a lovely blog post! I've only been to one Jewish wedding and it was a long time ago. I barely remember it. I know very little of Jewish wedding traditions so I found your story fascinating. Thank you for sharing your beautiful wedding day in the COG! Thank you Jasia and thank you for supporting so many bloggers with your COGs. Great ideas and prompts. 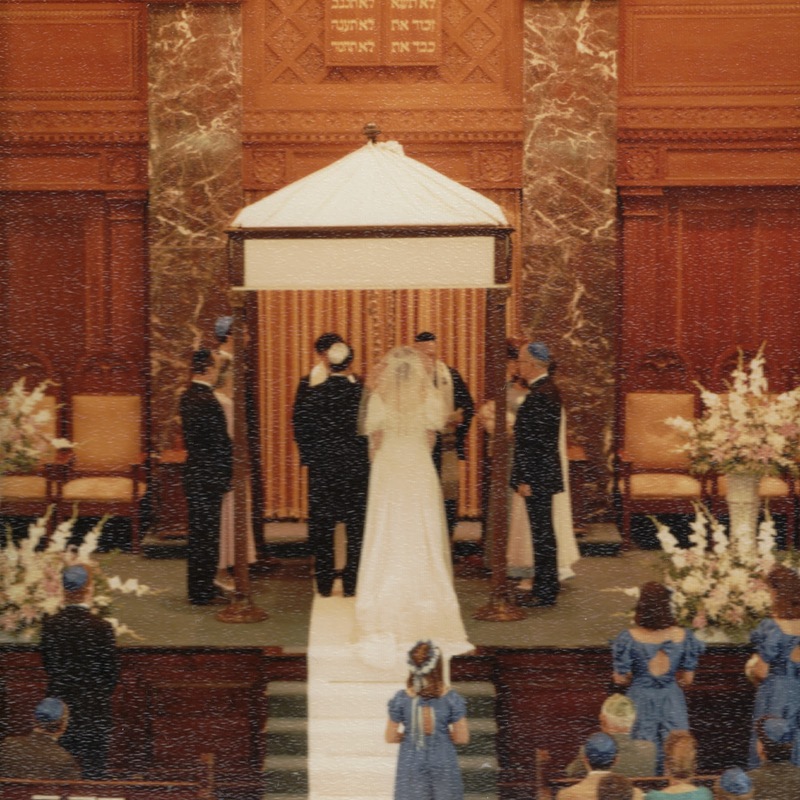 Superb photos and a wonderful explanation of the Jewish marriage tradition. 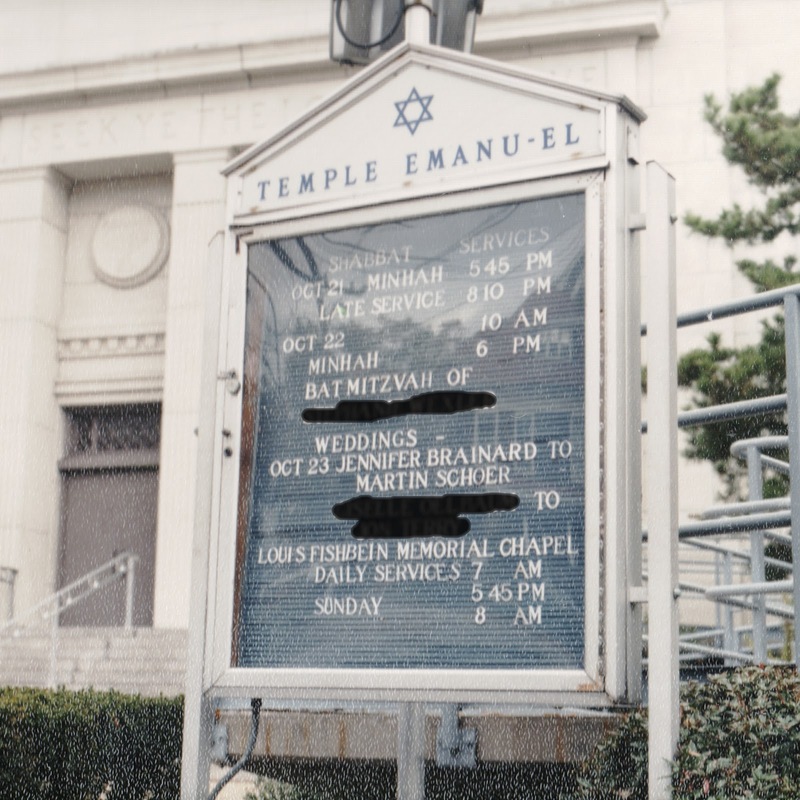 I have several Jewish friends so have been able to attend many Jewish weddings. I love experiencing the traditions of all cultures -- it helps us understand how all humans, all cultures honor and celebrate life's major passages. 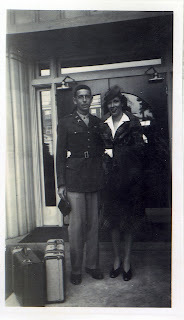 My husband and I were met on the 50th and married on the 60th (we were sloooow) anniversary of his grandmother's wedding - 5/30/1915. I only discovered this on the back of their wedding photo -- she never mentioned it to us, although she was in attendance!!! Congrats on a lovely post. I really enjoyed this entry to the COG. It was very well written, and I learned so much. OH, and you were a very beautiful bride. Thank you for such a beautiful post. I was raised Jewish and was married by a Rabbi but not with the traditions and details that you were. I really enjoyed learning more about it. I so enjoyed reading this post, Jennifer. I've never attended a Jewish wedding so this was very interesting and informative. Thanks for sharing your wedding day with us.